A gorgeous spa gift hamper, to pamper and spoil someone special…A selection of lavender-based natural products, all expertly formulated to help you Relax and Unwind in bath time bliss. A fabulous pampering treat for someone very special! For the ultimate in relaxing bath-time bliss; our Relax and Unwind Spa Gift Hamper contains a selection of lavender-based natural soap and skincare, all formulated to help ease away the stresses and strains, leaving a feeling of calm and tranquility. Presented in a pretty wicker basket, and finished with a co-ordinating hand-tied ribbon and gift tag. 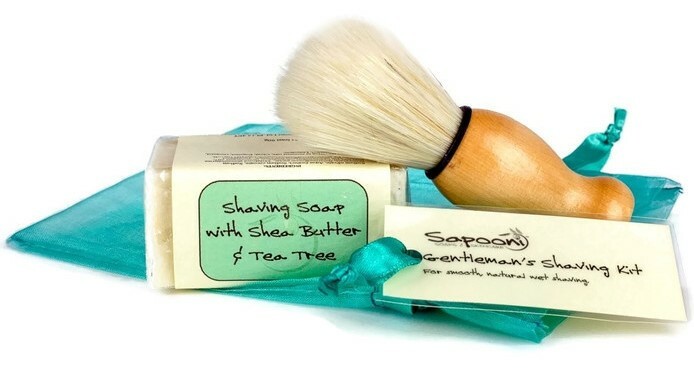 A gorgeous gift for anyone who deserves some time to relax, unwind, and enjoy some pampering. We will include a gift message, free of charge, if you let us know when you order. Simply leave a message at Checkout. 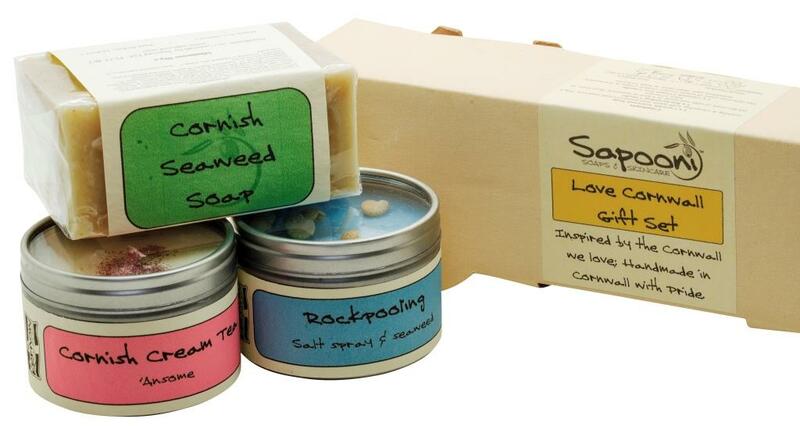 All the products in this spa gift hamper are handmade with care in our Cornish workshop, using natural ingredients. 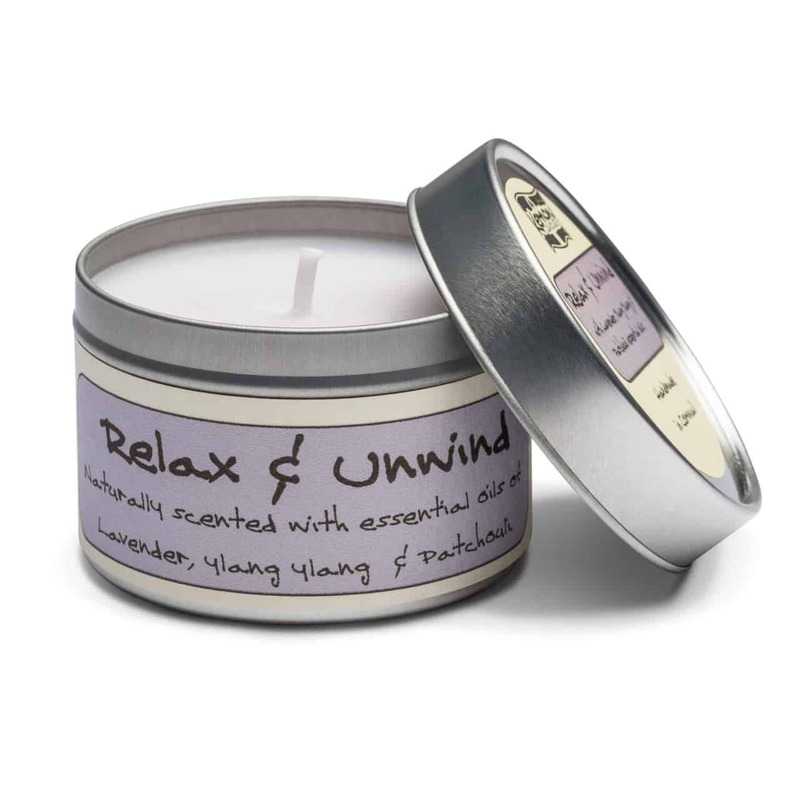 Relax and Unwind Aromatherapy Candle; A natural soy wax candle, delicately scented with natural essential oils of soothing Lavender, sensuous Ylang Ylang, and grounding Patchouli. Burn time; minimum 20 hours. 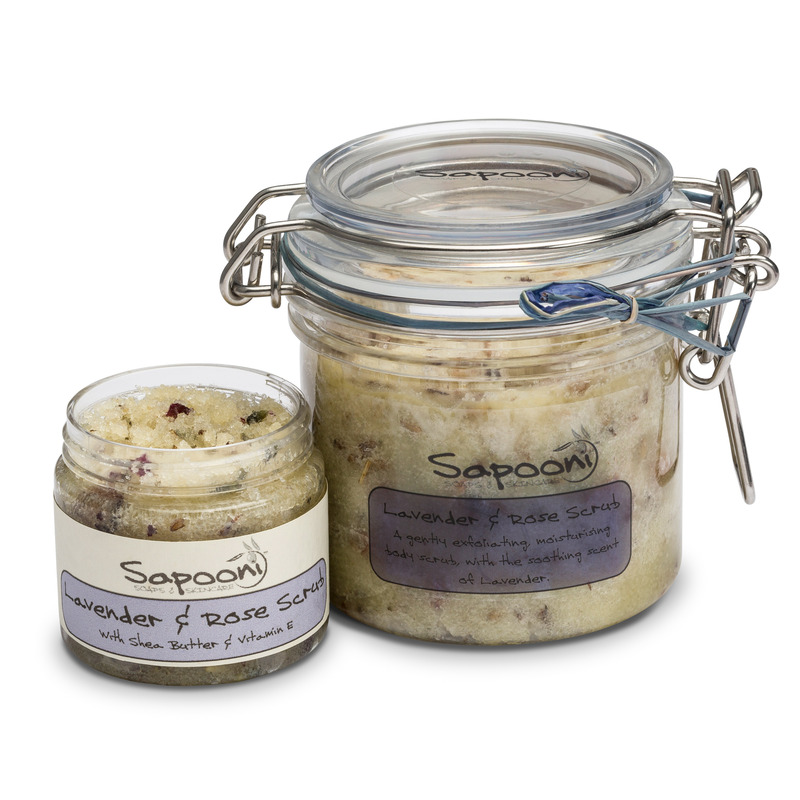 Lavender and Rose Body Scrub; A salt-based body scrub, formulated with oodles of Shea Butter to deeply moisturise and gently exfoliate. 75g jar. 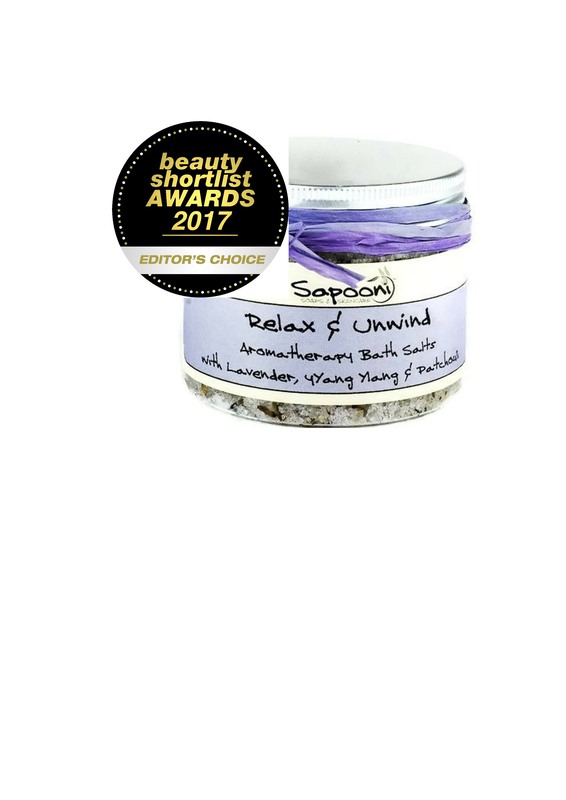 Relax and Unwind Aromatherapy Bath Salts; Our Award-Winning bath salts, handmade with a blend of seasalts, epsom salts, and a relaxing essential oils blend. 250g jar. 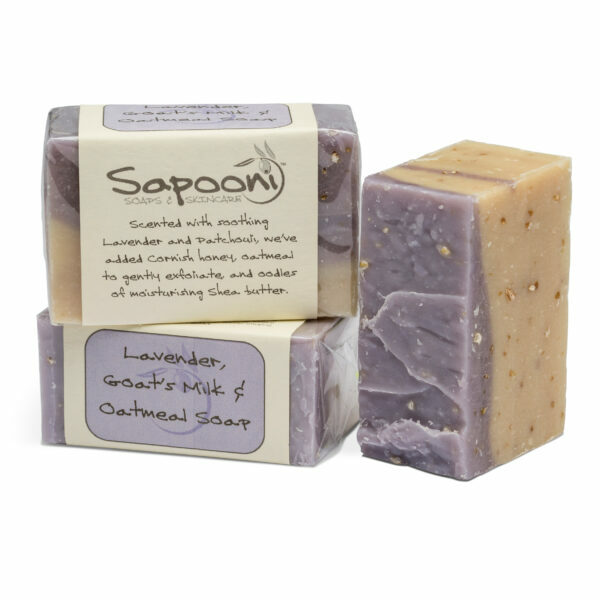 Lavender, Goat Milk and Oatmeal Soap; A gently exfoliating Lavender soap, with a rich creamy lather and gorgeous lavender scent. 90g e bar. Relax and Unwind Massage Bar; A deeply moisturising blend of oils and butters, which can be used as a lovely massage bar, or as an intensive moisturiser for really dry patches like heels and elbows. 60g tin. 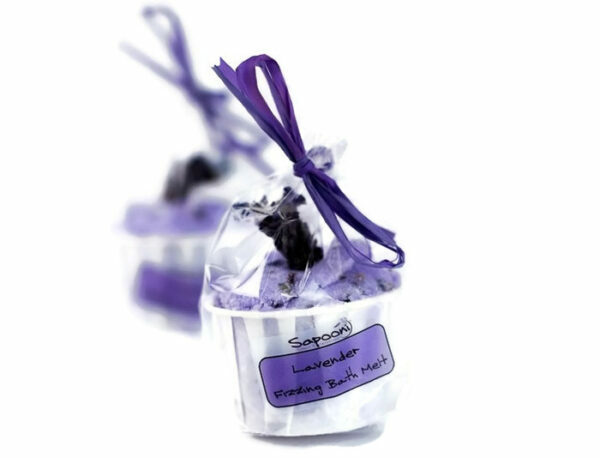 Lavender Fizzing Bath Melt; Pop the whole pot into a hot bath, for a skin-softening, lavender-scented relaxing soak. 70g. 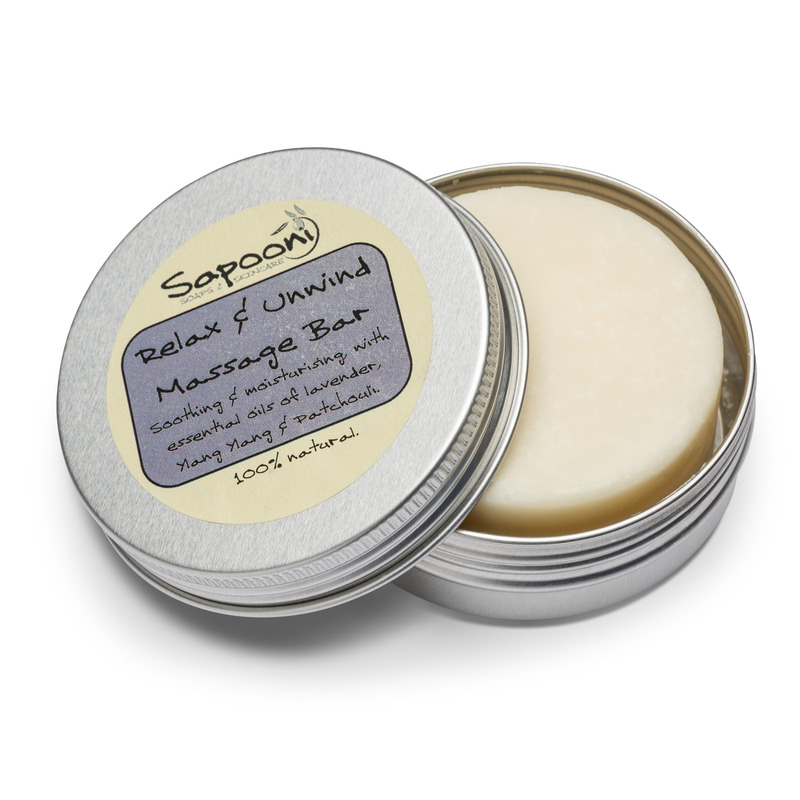 Relax and Unwind Body Lotion; Based on sea buckthorn oil and shea butter. A light, easily absorbed body lotion, gently scented with our blend of Lavender, Ylang Ylang and Patchouli essential oils. 100ml e bottle. See individual products for full ingredients of the products contained in our Relax and Unwind Spa Gift Hamper.